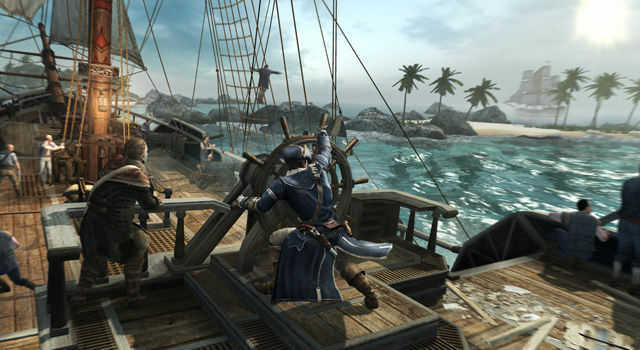 Thieves made away with a lorryload of Assassin's Creed 3 copies bound for the Netherlands, Belgium and Luxembourg this week. Most gamers who pre-ordered the title will still get their game. Ubisoft has released more stock for distribution. But customers from those countries who had pre-ordered the limited 'Join or Die' edition will have to do without. It contains extras, including a medal, that Ubisoft is unwilling to re-manufacture. I'd call that factory up quickly if I were you, Ubi. You've annoyed enough fans as it is with harsh DRM measures and activation code blunders. In an attempt to prevent the stolen games from being used, Ubisoft has revealed their serial numbers to retailers, and codes that come with the copies in question have now been blacklisted from accessing online authentication servers.